Batali had apologized in a statement Monday, and said that "much of the behavior described does, in fact, match up with ways I have acted"
This April 19, 2017, file photo shows chef Mario Batali in New York. Batali is stepping down from daily operations at his restaurant empire following reports of sexual misconduct by the celebrity chef over a period of at least 20 years. In a prepared statement sent to The Associated Press, Monday, Dec. 11, 2017, Batali said the complaints match up with his past behavior. Celebrity chef Mario Batali was fired from his cooking show "The Chew" on Thursday, several days after he said that reports of sexual misconduct "match up" to his behavior. Food news website Eater New York published an article Monday that said four women accused the chef of inappropriate touching. One of the women said that Batali groped her chest after wine spilled on her shirt. Another said he grabbed her from behind and held her tightly against his body. Eater said the four women, three of whom worked for Batali, asked to remain anonymous for fear of retaliation. 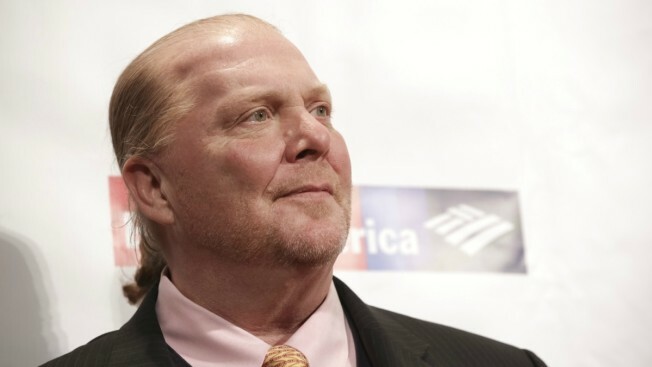 On Thursday, an ABC spokesperson released the following statement: "Upon completing its review into the allegations made against Mario Batali, ABC has terminated its relationship with him and he will no longer appear on 'The Chew.' While we remain unaware of any type of inappropriate behavior involving him and anyone affiliated with our show, ABC takes matters like this very seriously as we are committed to a safe work environment and his past behavior violates our standards of conduct." 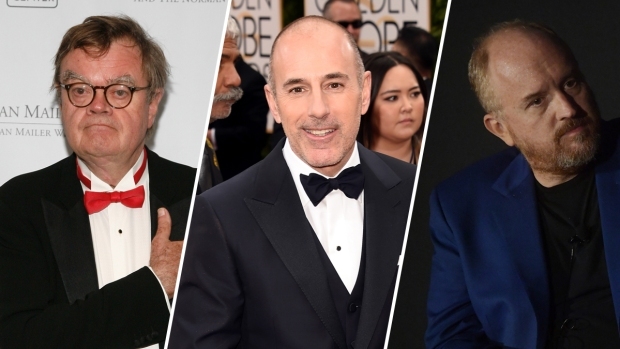 The sexual misconduct allegations are the latest to come against powerful men in entertainment, politics and other industries. Batali, who has appeared on "The Chew" since its debut six years ago, oversees several restaurants in a handful of cities. Batali apologized in a statement Monday, and said that "much of the behavior described does, in fact, match up with ways I have acted." A representative for his restaurant business, Batali & Bastianich Hospitality Group, said an employee reported inappropriate behavior by Batali in October. The company told Eater it was the first formal complaint against Batali and that he was reprimanded and required to attend training. The group's restaurants include Babbo in New York, Carnevino Italian Steakhouse in Las Vegas and Pizzeria Mozza in Los Angeles. It's also a partner in Eataly, an Italian food hall and grocer, which has locations in New York, Chicago and Boston. In 2012, Batali and his business partners agreed to pay more than $6 million to settle two separate lawsuits from restaurant workers who said they were deprived of tips or overtime pay. Batali, who is 57, was well known in culinary circles, taking jobs early in his career as a sous chef at the Four Seasons in Santa Barbara and San Francisco. His career took off after opening Po in New York City in the early 1990s, and he skyrocketed to fame with the airing of "Molto Mario," a show that ran on the Food Network for eight years, until 2004. It was there that his signature look, a fleece vest, shorts, and orange Crocs, became recognizable to most people. He has also won several prestigious James Beard awards, which are considered the Academy Awards of the culinary world. The Food Network planned to relaunch "Molto Mario" next year, but said Monday that the show would be put on hold. The network "takes matters like this very seriously," it said in a statement. A wave of sexual misconduct allegations have come forth in politics and Hollywood, gaining momentum after shocking allegations of abuse and assault by film and TV producer Harvey Weinstein. The #MeToo movement has brought allegations against Kevin Spacey, comedian Louis C.K. and news anchor Matt Lauer, and led to resignations in Congress. There are new calls for President Donald Trump to address sexual misconduct allegations that he's faced. And last week Time magazine named the "silence breakers," those that have shared their stories about sexual assault and harassment, as Person of the Year. The allegations against Batali are likely to hurt his restaurant business, especially if he is off TV, branding and marketing experts said. "The media presence drives the restaurant business," said Allen Adamson, founder of BrandSimple Consulting. Batali has also been socially active. The Mario Batali Foundation advocates child nutrition. And he has come out forcefully against hydraulic fracturing, a method used to extract oil and gas.